There are a few offers already for the early kick off match on Saturday. Spurs have a second consecutive home fixture and the visitors this time are Liverpool FC. The Reds have a good recent record against Tottenham, although results have been getting tighter between these two sides in their last few meetings. We suspect that it’ll be tight yet again at White Hart Lane. Home forwards Kane and Janssen are both looking to get off the mark while the Reds are smarting after a shock 2-0 defeat at the hands of Burnley – despite having the lion’s share of possession. For new Coral customers.Tottenham to Win against Liverpool – 10/1 Max bet £/€5 -Winnings Paid Free Bets Plus £/€5 free bet if your bet loses Ends 12:30 BST Saturday 27th August. For all Sky Bet customers. 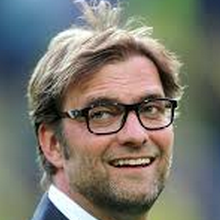 Tottenham v Liverpool – 33/1 Liverpool to win 3-2. For all Sky Bet customers. Tottenham v Liverpool – 80/1 Lallana to score first and Liverpool to win 2-1. For new Paddy Power customers. Get 10/1 on the Reds to beat Tottenham Hotspur at White Hart Lane. This one’s only for new Paddy Power customers. The Red Devils and Tigers have both started perfectly but you can get fantastic odds on Man Utd to go outright top of the league. For all Sky Bet customers. Burton v Derby – 18/1 Burton to win 2-0. For all Sky Bet customers. Burton v Derby – 22/1 Derby to win 3-1. For new Paddy Power customers, get 6/1 on the Magpies to beat the Seagulls in a proper bird fight. This one’s for new Paddy Power customers only. Price boost for all Ladbrokes customers. Kilmarnock v Rangers – 7/2 Rangers to win by 3 or more goals (was 3/1). Price boost for all Ladbrokes customers. Marseille v Lorient – 9/2 Marseille to win and 4 or more goals in the match (was 7/2). Price boost for all Ladbrokes customers. Bayern Munich v Werder Bremen – 10/1 Robert Lewandowski to score a Hat-Trick (was 7/1). Best of luck if you’re having a bet or two on the weekend. Did you know that you can also get all of the boosted odds on the BookieBoost app? Download it here. This entry was posted in Bookie Offers on 26th August 2016 by Betmeister.